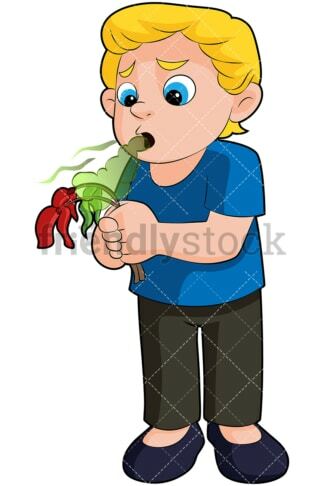 Royalty-free stock illustration of a blond boy with blue eyes, holding a flower with his hands and killing it with his terrible breath. 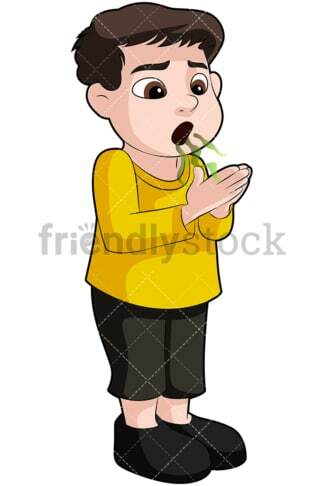 Royalty-free stock illustration of a young boy with brown hair, wearing a yellow t-shirt, and exhaling into his palms to smell his stinky breath. 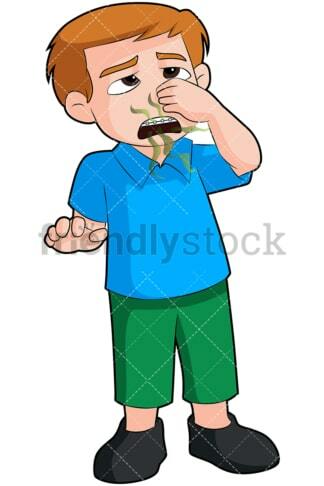 Royalty-free stock illustration of a cute little boy holding his nose tight as he breaths to avoid inhaling the bad smell coming out of his mouth. Royalty-free stock illustration of a black boy exhaling into his palm to smell his stinky breath. Royalty-free stock illustration of an Asian boy feeling disgusted as he lets a stinky breath out of his mouth and trying to clear the air with his hand. 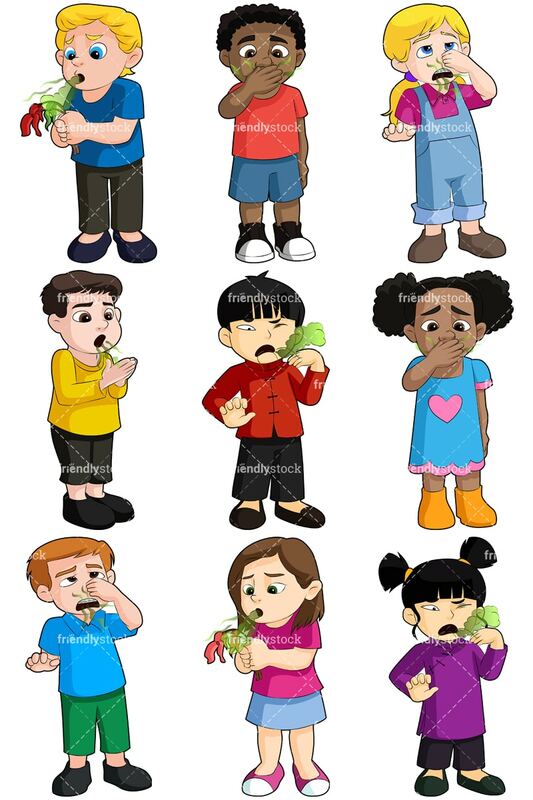 Royalty-free stock illustration of a little girl holding a flower with her hands and killing it with her terrible morning breath. Royalty-free stock illustration of a little girl feeling disgusted as she lets a stinky breath out of her mouth and holding her nose closed to avoid inhaling it in. Royalty-free stock illustration of a black little girl exhaling into the palm of her hand to smell her terrible morning breath. 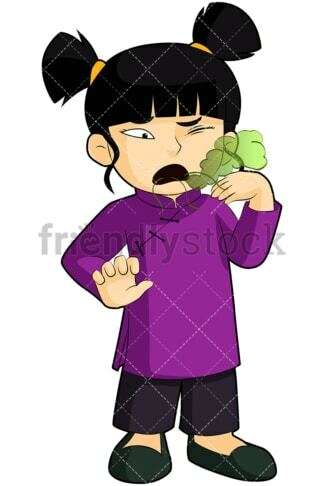 Royalty-free stock illustration of an Asian girl feeling disgusted as she lets a bad breath out of her mouth, and trying to clear the air with her hand.